On a chilly evening in March, dozens of people file into Source Booksellers on Cass Avenue in Detroit to meet a local author. Owner Janet Webster Jones, a fixture in the area for more than two decades, takes time to greet each person—something she does several times a week at the events held inside the busy store. The crowd has gotten bigger since Jones moved her business to the Auburn, a mixed-use development in the Detroit Midtown area. Janet Webster Jones, owner of Source Booksellers, has seen her retail traffic increase since moving her business to the Auburn on Cass Avenue. The building opened in November of 2012, and is now 100 percent leased, with a waiting list 100-deep. To achieve this success, the Roxbury Group first needed to secure financing at a time when many banks were reluctant to lend to projects in Detroit, which was then on the verge of declaring bankruptcy. Van Dyke’s team turned to two locally based economic development groups, Invest Detroit and Midtown Detroit Inc., to engage Capital Impact Partners for funding. The Auburn is just one part of Capital Impact’s vision to help turn the once blighted Woodward Corridor area into a thriving hub of activity and a launching pad for a revitalized, inclusive Detroit. Case in point is construction at the historic Forest Arms building just down the street, which is being helmed by Midtown developer Scott Lowell. Built in 1905, the building was once a high-end apartment complex with ornate woodwork, dumbwaiters and copper cupolas. A fire in 2008 rendered the building uninhabitable, and the brick shell sat vacant until Lowell bought it. The vacant Forest Arms, built in 1905, was saved from being torn down and is now being restored to its former grandeur and turned into residential and retail space that will add further vitality to Midtown. Lowell is restoring the Forest Arms to its former grandeur, rebuilding an interior that had been poorly upgraded over the years and introducing such modern-day features as solar panels and geothermal wells. The $10-million project will offer 72 one- and two-bedroom residential units, five penthouse apartments, and two commercial spaces, including a recording studio. Lowell and his wife and business partner, Carolyn Howard, have a long-standing personal stake in the revitalization of the Woodward Corridor. In addition to owning a dozen properties in the area, they also call the city home. One of their restaurants, Traffic Jam and Snug, has been a midtown favorite since 1965. Located between the Auburn and Forest Arms, it serves as a neighborhood gathering spot for new and old generations alike moving back to the city’s core. 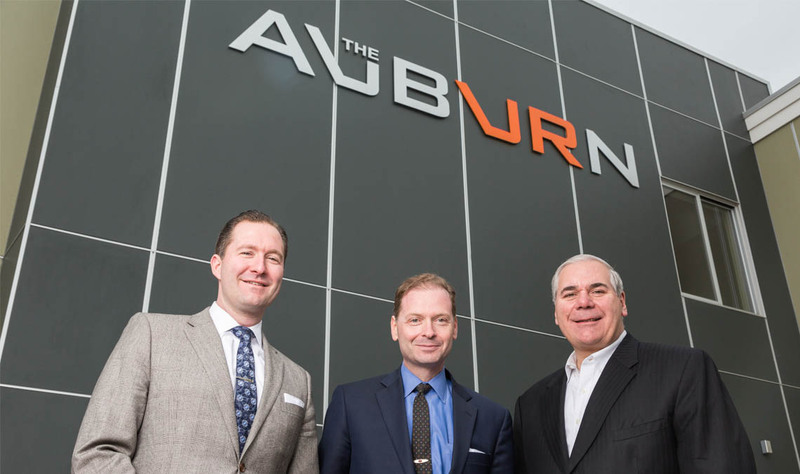 Financing projects like The Auburn and Forest Arms is important, but as a mission-driven lender, Capital Impact Partners saw that as only one piece of the larger revitalization strategy. Capital Impact has worked in Detroit for almost a decade to promote inclusive growth that also benefits Detroit’s low-and moderate-income residents through entrepreneurship and preserving low-income housing access. The Midtown market requires subsidy, notes Frost, and Capital Impact uses creative financing solutions to make resources available for safe and secure rehabs. Our principal strategy is to ensure that a significant portion of the new development is affordable. Even on this brisk Spring morning, Woodward Corridor’s mix of housing and retail help lure residents and visitors outside. Financing by Capital Impact Partners has helped bring new life to the area by supporting projects that are rebuilding Detroit. Shinola is another Detroit success story with ties to Capital Impact. The company originally set up shop in the New Center neighborhood, just north of the Woodward Corridor. Their 30,000 square-foot state-of-the-art watch factory helped revitalize the historic but vacant Argonaut building, now known as the A. Alfred Taubman Center. That building also houses the Henry Ford Academy Charter School, which serves the area’s low-income students. While they have expanded internationally, Shinola’s owners have kept their focus on the city’s revitalization with the debut of Willys Detroit, a sister clothing shop next to the watchmaker’s flagship outlet in the historic Willys Overland Lofts building. Built in 1917 as an auto manufacturing plant, the building is now known for its residential lofts and the city’s newest mix of retail tenants, including Run Detroit, which organizes Saturday morning community runs. Located just across the street from the Auburn and next door to Traffic Jam, the building and its tenants further contribute to the vibrancy of the area. The historic Willys Overland Lofts building, built in 1917 as an auto manufacturing plant, is now known for its residential lofts and the city’s newest mix of retail tenants, including local brewer Jolly Pumpkin and Willys Detroit owned by Shinola. Both the Taubman Center and Willy’s Overland were built with financing from Capital Impact. The development serves not just the people who live in district, but everyone across the region as well: “Midtown is a destination, and the partnership plays a vital role in encouraging complementary objectives, such as equitable growth,” says Frost.